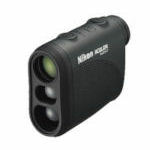 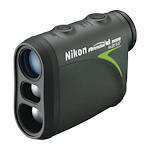 Nikon makes a variety of compact rangefinders with the capacity to accurately read ranges of 550 - 1200 yards at the touch of a button, depending on the model. 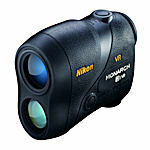 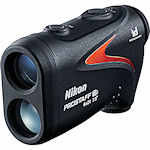 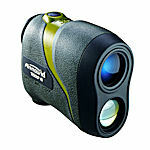 Nikon rangefinders are available in a choice of black or various camouflage coatings. 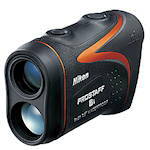 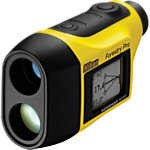 All laser rangefinders are waterproof and fog proof and feature Nikon's bright Nikon's multi-coated optics.